It’s never been easier for consumers to get things delivered. So why not coffee? Imagine a piping hot coffee delivered to your office or home at the proverbial “click of a button.” For consumers, it’s perfect. For the coffee companies attempting to provide these services, it’s a bit more complicated. But two of the major chains, Starbucks and Dunkin’ Donuts, are ready to give it a try. 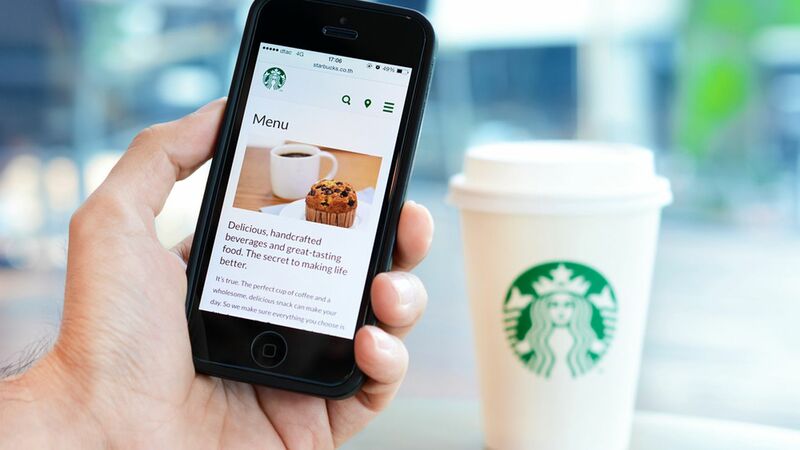 2015 was a big year for Starbucks, which added several services designed to be quick and convenient. In September, the company rolled out nationwide availability of Mobile Order & Pay through its apps, which allows customers to order ahead on the app and pick up in-store without waiting. In October, Starbucks announced a pilot project: It started bringing coffee and other items to employees of the Empire State Building through an in-house service, Starbucks Green Apron Delivery, which promised items “delivered by Starbucks baristas right to your office.” And in December, Starbucks officially debuted its previously announced partnership with start-up Postmates, allowing customers in Seattle to order delivery using the Starbucks app. It’s not just Starbucks getting into the delivery game. In November, Dunkin’ Donuts launched two programs designed to “make it even easier and more convenient for people to run on Dunkin’ from morning to night,” announced a company press release. On-the-go ordering — which works with the company’s app in a similar style to Starbucks Mobile Order & Pay — first launched in Portland, Maine. Dunkin’ Delivery, meanwhile, first launched in Dallas as a partnership with the on-demand delivery start-up DoorDash, and both services have expanded into other cities. Although fast-food and coffee chains have great convenience, the expectation by consumers to get food delivered is increasing. But anyone who has waited longer than expected for a food delivery, received a dish that had cooled in transit, or not received what was ordered, understands that delivery logistics are complicated. Unlike Amazon shipments, there’s only a brief window of time that most food items can be delivered before getting cold or spoiling, and some might say that the window is even shorter for coffee. Starbucks’s rollout of Green Apron delivery seems to take these concerns into consideration. The company used existing infrastructure for its Empire State Building delivery: The building already had a Starbucks café, and the company uses a separate kitchen for the Green Apron orders. There are more than 12,000 employees in the building, but they are all just an elevator ride away. Customers place orders on a fairly simple website. Orders arrive in approximately 30 minutes, according to the company. But Ashley Fleishman, a lawyer who works in the Empire State Building, reported coffee delivered in 10 minutes. And yes, “the coffee is still hot,” she says. Starbucks’s “Green Apron Delivery” service is designed for deskside deliveries within large high-rise buildings. It’s safe to say Postmates is committed to the relationship: According to the company, they’ve designed a new carrier “so that we could ensure that the coffee would arrive the way it left the store.” Customers order through the Starbucks app, which has been modified to use Postmates’ ordering and delivery technology, the first and only food company app to do so. Users in Seattle and elsewhere can still order through Postmates directly, but having delivery built into Starbucks app allows customers to customize orders, the company said in a press release. For Postmates deliveries, Starbucks charges a $5.99 delivery fee. Jantzen also says that Starbucks has “no additional plans to share in regards to other food delivery companies.” But it would not be uncommon for large chains to test our various food delivery options. For example, 7-Eleven is working with both Postmates and DoorDash in different cities. In terms of logistics, Slurpees have a lot in common with coffee — a delivery that’s just a few minutes late can be problematic. Dunkin’ Delivery customers can order only through the DoorDash app — DoorDash has experience working with chains including Taco Bell and Kentucky Fried Chicken. The partnership probably made getting the program of the ground easier for Dunkin’ Donuts, but will most likely limit the information they can gather from their customers. For the partnership, DoorDash began deliveries at 7 a.m. or 8 a.m., a few hours earlier than the typical 10 a.m. start time, in order to serve breakfast. Breakfast and food in general is a growing category for many fast food companies, according to Brown. “While breakfast has been a strong suit, we’ve seen roughly one-third of coffee orders come after lunch,” says Prahar Shah, the head of business development at DoorDash. Office deliveries are popular. “We see three to four folks on a team doing the ‘coffee run,’ but doing it with DoorDash.” Dunkin’ Donuts’ Box ‘O Joe, which holds 10 cups of coffee in a box, are popular with the late-afternoon office crowd, says Shah. This partnership has expanded from Dallas to Washington DC, Chicago, Atlanta, and Los Angeles/Orange County. And Dunkin’ Donuts is looking to expand delivery, with or without DoorDash. “As we continue to test Dunkin’ Delivery, we will look to explore options for other partnerships and integrations with the DD Mobile App,” writes Sherrill Kaplan, who works on digital marketing and innovation at Dunkin’ Brands. This entry was posted on Monday, January 25th, 2016 at 11:42 am and is filed under Coffee, Coffee/Cafe, Consumer, delivery, Mobile App, Online, Starbucks. You can follow any responses to this entry through the RSS 2.0 feed. You can leave a response, or trackback from your own site.